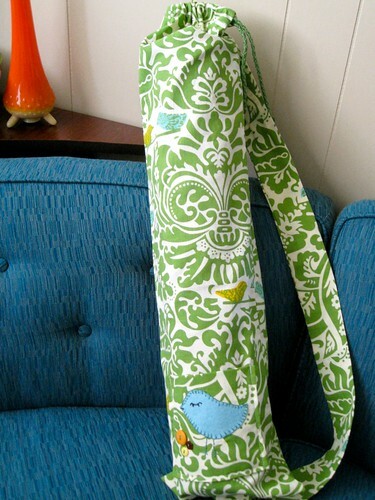 I made this yoga bag for my good friend Nikki for her birthday, I hope she liked it! 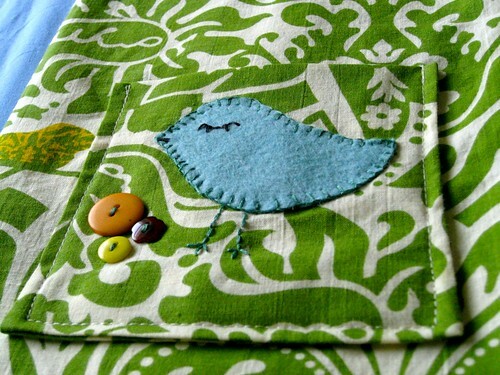 I am in the process of making similar things to build a stock for my future Etsy store! Thanks for taking a look, I hope you all had a great weekend, I have to get outside and enjoy the sunshine some today, all day yesterday was spent in the craftroom!! i love it too! namaste! Ivey- Thanks so much! 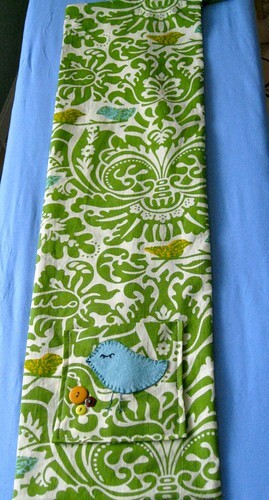 I will be definitely stocking yoga bags! holy cute!! I love it!! 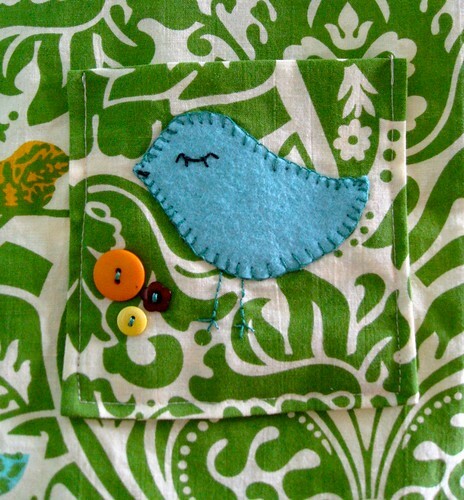 that birdie and those buttons are super adorable! and, i love the colors of everything.